Are you ready to advance your music career? Think you’ve got it? Find out if you really do! This workshop will engage, challenge, and give you the opportunity and tools needed to help you succeed in your career. Discover the secrets successful artists have learned from Tom Jackson’s Live Music Methods: Taylor Swift, Jars of Clay, Jordin Sparks, Casting Crowns, Francesca Battistelli, The Band Perry, and many of the acts you admire! 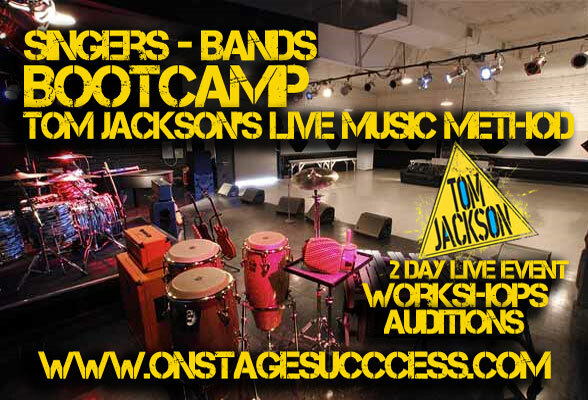 Imagine 2 full days of classes and hands-on demonstrations that will make you and your music absolutely memorable! Plus, get a chance to perform in front of Tom and other industry pros – gatekeepers who can provide an opportunity for you to be seen and heard. Tom is always looking for top talent to perform at events and on major tours. If you’re good enough and recognized as a Top Performer you may even get the opportunity to work with a producer, a songwriter, or get top of the line audio gear!